Have you been the victim of an untraced hit and run driver? Untraced driver claims. Did the driver leave the scene without giving their details? Were you unable to obtain a registration number? Was it a hit and run accident? We have helped clients to recover compensation for untraced driver claims. We can help. Making an untraced driver hit and run accident claim is simple, either complete our online enquiry form by clicking here or speak to one of our expert personal injury solicitors on 01925 937070 for a free, no obligation discussion. There are more than 350,000 “hit and run” accidents in the UK every year. Most fortunately do not involve personal injury but almost every case will leave the victim with serious doubts about how they will recover compensation for loss, injury or damage. However, do not despair. You can still make a compensation claim thanks to the Motor Insurers Bureau (MIB). DSM Legal Solicitors will submit your claim to the MIB, who are a non-profit making company, set up by motor insurers and their aim is to compensate victims of both uninsured and untraced drivers, and ensure you receive the best possible outcome. As one of the North West’s leading experts in untraced hit and run driver accidents, we regularly help our clients claim financial compensation for injuries suffered in everything from car accidents to accidents at work. We can help with everything. Whether it has been recommended that you need physiotherapy or you require advice from a financial expert, we have access to a wide range of expert services. Free on-site parking and disabled access including a lift. Looking for a local Warrington solicitor? Our office is based in Warrington, Cheshire and we can help with claims across England and Wales. 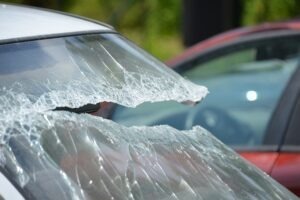 We can assist with road traffic accidents, personal injury (accident claims), serious injury claims including fatality claims, medical negligence claims, employment law claims, settlement agreements, wills and probate, lasting powers of attorney, oaths, affidavits and statutory declarations, criminal injury compensation claims and professional negligence claims. Click here to complete our Road Traffic Accident Enquiry Form or telephone 01925 937070 to speak to a solicitor today. For an assessment of your personal injury claim, complete our online enquiry form or call us today on 01925 937070 and speak to a personal injury solicitor. Our team are more than happy to answer any questions you may have.